Find glass merchants London, UK. 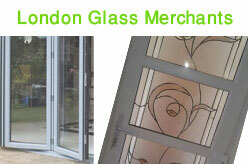 North London glass merchants, South London glass contractors and East London glass shops list. Suppliers of architectural glass in London. Offers both supply-only and a full supply and install services on a full product range from re-glazed windows to bespoke mirrors and frameless shower enclosures to glass balustrades, coloured splashbacks, table tops and vanity tops, walk-on glass, fire-proof pyro and security glass and much more. A family-run business established over 35 years ago serving both the building trade and domestic customers. One of North London’s leading glass merchants offers commercial and private glass and mirror based services. Earls Court central London based glass suppliers & glazing contractor established 1967. Offers glazing, mirrors & fitting, shower enclosures, glass partitions, splash backs, balustrades, glass roofs, glass doors, glass floors, table tops, shelves and hinges. One of the leading London based domestic and commercial glazing company with over 20 years experience of the glass and glazing industry. Domestic and commercial glass and glazing since 1974. Page last updated : 3rd January, 2018.